A federal panel has laid out almost 200 conditions for the proposed Northern Gateway pipeline project that would have to be met before it could proceed, including almost $1 billion in liability coverage in the event of a catastrophic oil spill. 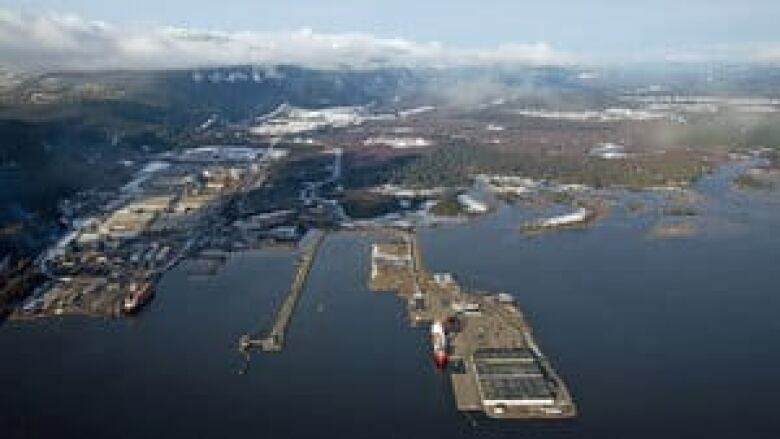 Among the other requirements, Enbridge must undertake rigorous pipeline inspections every two years to check for cracks, and have specially equipped tugboats accompany tankers out of Kitimat Harbour in northern B.C. The company must also have a plan for monitoring the pipeline's effect on the environment and submit plans for monitoring species at risk, including proposals for caribou habitat restoration. The release of the conditions by the joint federal review panel is part of the continuing process examining the feasibility of the twinned 1,100-kilometre pipeline from Edmonton to Kitimat. The joint federal review panel stressed that the release of the 50-page draft document does not mean a decision has been made. "The publication of potential conditions is a standard step in the hearing process that is mandated by the courts," said a letter provided to review participants by the panel. The parties involved have until the end of May to comment or propose additional conditions as part of their written final arguments. They will be discussed during final oral arguments on the project in Terrace in June. Among the 199 conditions proposed by the panel, Northern Gateway Pipelines, a subsidiary of Enbridge Pipelines Inc., must have total coverage of $950 million for clean-up, remediation and any other damage that might result from the project. That would include unfettered access to at least $100 million within 10 business days of a large spill to cover immediate costs while insurance claims are processed. The company would also have to undertake a research program on the behaviour of heavy oils such as diluted bitumen, a molasses-like petroleum product that will flow through one of two pipelines linking Bruderheim, just outside of Edmonton, to a tanker port in Kitimat, B.C. The second pipeline would carry natural gas condensate, used to dilute bitumen, east from B.C. to Alberta. Ivan Giesbrecht, a spokesman for Northern Gateway Pipelines, said the company was pleased to receive the document issued by the panel. "At this point, we're not in a position to make comments on any specific conditions until our team has thoroughly reviewed the entire document," Giesbrecht said. The conditions will set in stone many voluntary commitments the company has made in response to public concerns in British Columbia, where conservation groups have targeted the Northern Gateway with protests. Ben West of ForestEthics Advocacy said the conditions won't sway project opponents. "I take it as a sign that the [National Energy Board] is getting the message that people are really concerned about this pipeline," West said, pointing out that no other pipeline project has had so many conditions put forward by a review panel. "I don't think it's going to change much in terms of how the public feels about these pipelines. The safest option is just not to build this pipeline." Final hearings on the project are slated to begin next month. The panel has until the end of the year to submit its report and recommendation to the federal cabinet.